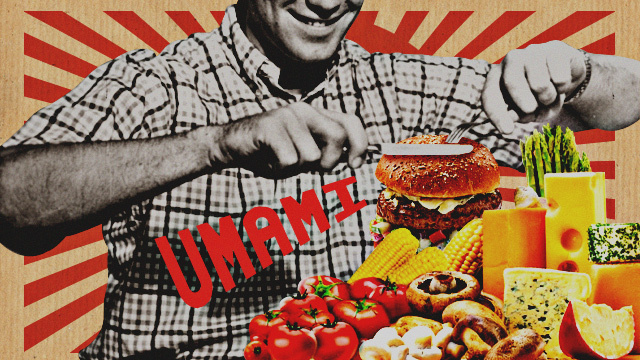 The secret history of umami unearths some interesting nuggets of info. (SPOT.ph) Early in the 20th Century, a bright-eyed chemist in Japan noticed white crystalline powder on the surface of kombu, a kind of kelp that the Japanese have been using for stock for centuries. The powder was discovered to be a kind of glutamate. Glutamates accentuate nuances of food by amplifying food’s flavors. 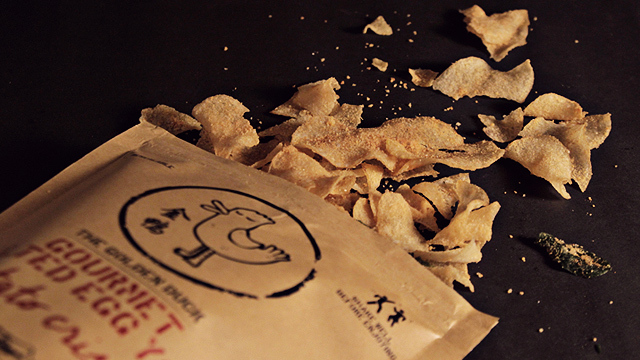 The sensation associated with glutamates was eventually described in the rest of the world as umami, and the foodstuff most associated with it is monosodium glutamate—MSG. Today, MSG is the bane of the culinary world. They don’t understand MSG; they therefore distrust it. To them it is chemical, harmful, not natural—its usage is a violation of their values. It is consequently avoided and vilified. As MSG and umami predicate the passions of the palate, they precipitate debate and possibly, decimation of common sense. Robert Wolke, a chemist himself and commentator on food, on the matter: “What’s a ‘natural flavor,’ you ask? It’s a substance derived from something in nature, rather than made from scratch in a laboratory or factory. To be called 'natural,' it doesn't matter how chemically complex or convoluted the processes may be that ultimately isolated the flavor substance, as long as those processes began with something untouched by human hands.” Nowadays, most MSG is derived from the bacterial fermentation of sugar. MSG is natural, at least according to Wolke’s faculties, yet pretensions persist in portraying the acronym as villain—as enemy. Moreover, because the MSG was developed in a laboratory—and not in a pest-infested clay vat, its usage is perceived as infidelity to kitchen craft. Our desire for glutamate-rich food is evident in the past couple of years' destination of choice. An inspection of traditional Japanese dashi (base stock for de rigueur ramen) exposes savory secrets: Not only does it contain glutamates from kombu, it has inosines from the shavings of smoked skipjack the Japanese call katsuoboshi, and guanosines from the optional dried shiitake mushroom. Similar in effect to glutamates, inosines and guanosines boost savoriness. If one has an aversion towards monosodium glutamate, then disodium inosinate (inosines from animal sources) and disodium guanylate (guanosines derived from plants) might as well be equally unfavorable. All three ingredients are reaped from nature—regardless of how their reputation as “artificial” precedes them. Talk of the “artificial” leads us closer to what is known as the “artisanal.” Artisanal and traditional sources of glutamates are the theme of countless homilies—harangues harking at a bygone yet unforgotten time when MSG wasn't around. All of these sources are still around—and abound: the innocent tomato; fermented fishiness found in Tagalog patis, Indonesian petis, Malay budu, Thai nam pla, Vietnamese nuoc mam, Italian colatura, et cetera; moldy soy like miso, shoyu, toyo, et cetera; Parmigiano-Reggiano, and many others. But to say that these are the only proper and wholesome sources of glutamates are mere platitudes of the plate. 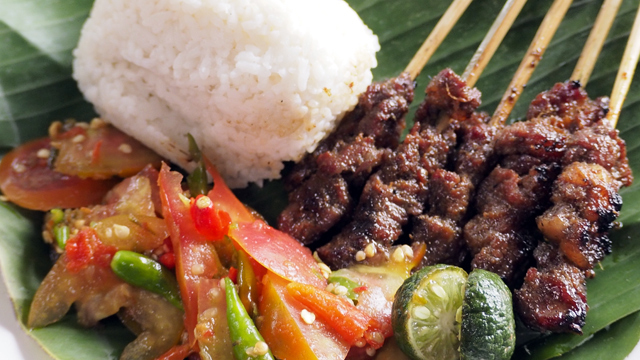 Unadulterated and pure patis may not demand exorbitant prices, but there is a mysticism in their viewed value to culinary culture—especially when contrasted with its “reproduced” version, MSG. Nostalgia for kitchen gambits of the past augments contempt for innovation, and there is nothing wrong with keeping traditions alive—their relevance can never be trivialized. It is their sanctification that impedes on the benefits of expediency. The new tradition of the MSG dash here and there, is a democratic one. The proposition is to obtain a position of compromise: maintain the traction of traditions, while being open to the new. Enjoying life (while it lasts) is a continuation of how our lives began. The act of breastfeeding is one of the first we take as live individuals. Breast milk—the first food we taste, also serves evolutionary purpose as it counts glutamate among its contents. Glutamate is food for cells; it is likewise a molecular component needed by our stomachs and intestines as infants. Perhaps the obsession we have with delicacy was ingrained in our infancy, and the intimacy of sucking on a teat is thus a portent of pleasures yet to come.